NOTE These instructions are for local, "temporary" backups only. While it is a good idea for all users to make such local backups regularly, we recommend that you incorporate your ClearSync data backup into a comprehensive backup plan that will provide full and reliable protection of one of your most important assets, the data stored by the various computer applications you use daily. IMPORTANT Before proceeding, make sure that the ClearSync 2 Desktop application is not running. Because the ClearSync 2 Desktop data file is stored under a Windows system folder that is by default "hidden", we recommend you use the "Windows Explorer" file management utility (not to be confused with the Microsoft similarly-named "Internet Explorer" web browser application). To use the utility most effectively, you should configure it as follows. These instructions are for Windows XP systems -- Windows 2000 users will encounter slightly different phrases & terms in a few areas, but the same basic steps and actions will apply. To launch the Windows Explorer utility, right-click the Start button and select Explore. The Windows Explorer window will open with the Start menu folder below your current Windows User Profile pre-selected. In the 2nd section of the View menu, ensure Details is selected. Windows Vista & 7 users: Click the View pulldown at the top right of the window toolbar. Click the Tools option and select Folder Options. Windows Vista & 7 users: Click the Organize pulldown at the top left of the window toolbar and select Folder Options. At the top of the General tab of the Folder Options dialog, select the Windows Classic folders option. Show hidden files and folders is selected. Hide extensions for known file types box is not checked. Click Apply to All Folders and then Yes when prompted. In the ..\ClearSync folder will be a single, "working" ClearSync 2 Desktop data file for each ClearSync User Profile / Account Name that has been created. NOTE If you see a CS_User Name_#####.xml.###.lock file in this folder, it indicates the ClearSync 2 Desktop application is running. Close the application before making the backup copy. Identify, or if necessary create, an appropriate folder to store the backup copies in. Right-click the CS_User Name_#####.xml file and then select Copy from the menu. Right-click the backup folder name and click Paste. Right-click the backed up file and click Rename. Back up the current ClearSync 2 Desktop Application <xml> data file(s). After launching the ClearSync 2 Desktop application, click the Wrench toolbar icon to bring up the Preferences dialog. Uncheck the Enable AutoSync box and click OK.
Delete the current application <xml> data file in the ..\ClearSync data folder. Copy the previously backed-up data file to the ..\ClearSync data folder. Be sure that the file ends with a single <.xml> file type extension. Launch the application and view the information as needed. NOTE Do not enable the AutoSync feature. Do not click the ClearSync logo synchronize button. After exiting the application, make a fresh backup copy of this <xml> data file if you made any changes or additions to the data. Delete the <xml> backup file that you've been viewing. Copy the backup file you made in step #1 to the ..\ClearSync data folder. After launching the application again, you can re-enable AutoSync, if applicable. 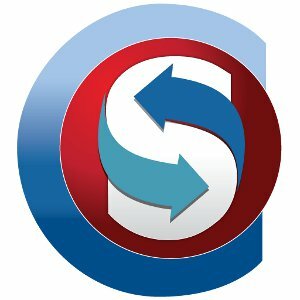 If you are experiencing difficulties with the ClearSync 2 Desktop application, we recommend -- after making sure that the application is closed -- deleting the CS2 .xml data file. When the application is re-launched, the calendar and contact information will be refreshed "from scratch" from the ClearSync Server. The following additional files and folders will also appear for ClearSync Palm OS users and should NOT be deleted or moved unless you are directed to do so by ClearSync Support.